How to decide what to read next is a somewhat popular topic among book bloggers and bookish folks in general. I not only think a lot about the next book that I plan to read, I also think a lot about my long term reading plans. To start, I want to mention that however intricate and well laid out these plans are, I always “reserve the right” to, and often do, deviate from them. The most basic part of my long term planning is the fiction/non-fiction split. I roughly plan to read equal numbers of fiction and non-fiction books. This is, I believe, a more or less permanent or lifetime aspect of my plan. However, the percentages do vary just a bit from time to time. These day, I am probably reading approximately 60% fiction. Before I discuss how I decide which specific books to read, I need touch upon an often mentioned theme of mine. That is, the scarcity of reading time. There are literally thousands of books that I want to read. I have limited time in any given day, week, month or year. I will never get to read every book that I want to read. Thus, I must be selective and stick to one of the thousands of works that, for me, seems offer the prospect of having value. I hunger for aesthetic greatness as well as interesting and important ideas. I also strive to understand the Universe at large. There are so many books that meet these criteria. There is no time to waste on books that do not meet some basic standards. So what fiction do I choose? What books meet my standards? I look to the great and influential or at least works that seem interesting. This includes a lot of revered classics as well as some lesser-known works. Because I include influential and interesting within my parameters, I add to the mix what are undoubtedly books of lesser value, but that still present aesthetic or intellectual merit. I should also note that, although they are not fiction, I do include philosophical works in the fiction category. There are no shortage of fiction and philosophical tomes that meet the above criteria. Of course, I am constantly hearing and reading about books that get added to my list. 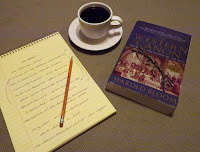 I have also been know to browse reading lists of important books, including Howard Bloom’s “Western Cannon” and Clifton Fadiman’s “Lifetime Reading Plan.” I try to read a mix of old, new, famous and not so famous works. Sometimes, I read along themes. For instance, currently and temporarily, approximately forty percent of my fiction reading consists of works written by nineteenth century English novelists. For my non-fiction reading pleasure, there is also planning. I have a lifetime interest in the American Revolutionary period. Roughly half of my non-fiction reading is devoted to that subject. The remainder is usually divided between books on other topics of history, science, social-issues, among other subjects. I often choose a project to concentrate on. For a time, I was particularly interested in human consciousness. I exclusively stuck to this subject within my non-fiction reading, aside from the American Revolutionary war stuff. Currently, I am exploring the topic of feminism. Thus, for the next several months, my non-fiction reading, when not focused in books about the American Revolutionary period, will mostly consist of books relating to the concept of feminism and gender equality. 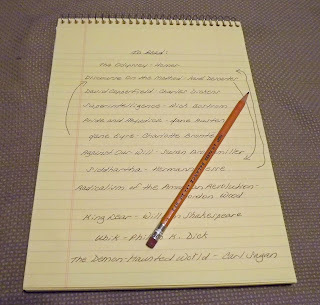 In order to stick to the plan, I usually have my book choices mapped out five or six tomes into the future. This is another aspect to the plan that, while seemingly very structured, involves enormous variation in actuality. Despite these well laid out plans, I often do not actually read the next book in the queue. I also sometimes go completely off track and do not follow the plan at all. Despite these variations, my schemes invariably take me in general directions that I want to go, allowing me to read an eclectic group of books while also allowing me flexibility. Why have such a plan? There are several reasons. First, it allows me to be organized and reach goals. Second, it is more or less what I would be doing anyway. In this respect, one can look at this as more of a pattern as opposed to a plan. Third, if I am absolutely stumped as to what to read next, I can usually fall back to the plan for my selection. Finally, I find that having such a plan is a lot of fun! It allows me to think about books in parts of the day that I am not able to read. This plan has been, more or less, something that I have stuck to for the past ten years or so. When I think about it, however, I pretty much followed similar patterns prior to that. Like many things in life, the plan will likely be modified over time. I predict that I will be following, as well as ignoring, my reading plans for years to come. Today is Bloomsday. 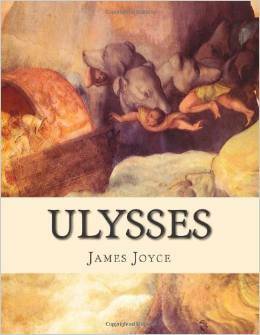 The events of Ulysses take place during a twenty – four hour period on June 16th 1904. James Joyce fans the world over commemorate the day with readings, costumed events, consuming various foods that are eaten by the characters during the course of the narrative, as well as with any other festivities that they want to partake in. As I completed this book several weeks ago, I decided to wait until today to post my commentary. Happy Bloomsday everyone! I have completed James Joyce’s Ulysses! Perhaps it would be more accurate to say that I have experienced this novel. Navigating through its pages seems something of a journey. It was one of the most unique reading experiences that I have ever had. This is a difficult book to describe, much less write a coherent post about. Though famous, this work is monumentally odd, and it was extremely challenging. In fact, this is the most difficult piece of fiction that I have ever read. Though known for its stream of consciousness style, there are actually dozens of unique prose styles used throughout the novel. The narrative jumps in and out of all sorts of unconventional techniques, including Stream of Consciousness, trips into the bizarre imagery of the unconscious, odd imitations of newspaper headlines, Irish Folklore style and parodies of other writers, such as Charles Dickens, just to name a little of the strangeness. In addition, the text is full of allusions, many extremely obscure, to literature, art, Irish history, current events at the time in which the novel was written, as well as other topics. Joyce’s novel is also very funny. It is full of jokes and puns, and even during serious moments it radiates a zany and chaotic humor. The book is broken up into chapters that correspond to the parts of Homer’s Odyssey. The parallels between the two works are odd and obscure and I would not have been able to recognize them without the aid of notes and outside assistance. There is also a rough connection with the characters of Shakespeare’s Hamlet. The theme of father and sons, which plays prominently in the famous play, is also an important component in this novel. The narrative takes place during a 24 hour period in Dublin. There are three main, as well as dozens of minor, characters. The main characters are: Stephen Dedalus, who was also the subject of Joyce’s Portrait of the Artist as a Young Man; Leopold Bloom, an advertising agent; and Bloom’s wife, Molly. In terms of plot, the characters mostly wander around Dublin and interact with one another. They discuss and ponder virtually every subject imaginable from the everyday mundane to profound ruminations on aesthetics and philosophy. I got an enormous amount out of this work. I also missed a lot. It seems that the folks who really understand this book have read it multiple times. In fact, I have communicated with people who have gone through it six or seven times. My comprehension of parts of this book was spotty. This is despite the fact that I used notes, both Ulysses Annotated: Notes for James Joyce's Ulysses by Don Gifford, as well as various online notes and summaries. I also read several essays on the work. Finally, there is a dynamic online community that is fanatically enthusiastic about this book. My interactions with members of this community have been very valuable. My actual comprehension varied a great deal. There are parts of this book that are easily understandable. Other parts that come close to indecipherable word salad seemed completely enigmatic, even with the assistance of notes. An example of the novel’s dense zany difficulty is illustrated in the below, a very difficult compound sentence that lacks punctuation. Based upon several outside sources, the below is intended to replicate a strange mix of Old English with some Latin grammatical touches. It is worth noting that this prose is near the beginning of a section and there is no real context in the previous text to assist. This is just one example of the unusualness and difficulty of this book. There are numerous additional sections that are odd in completely different ways. Through the denseness, it slowly dawned upon me as to how much of an interesting character Leopold Bloom is. One remarkable thing about him that has been observed by many readers is his compassion directed at almost everyone he encounters. Bloom exhibits warm feelings and support for grieving survivors of the deceased, women in labor, prostitutes, animals he encounters, and just about everyone else. He is also a calm and moderate but progressive thinker who champions good sense. In one of the book’s best passages, Bloom expounds the virtues of equality, non-violence, tolerance and moderate change. Though in the end very admirable, Bloom is not without imperfections, and he is ultimately portrayed as very complex person. For example, one of his foibles is a fetish for snatching glimpses of women’s undergarments. Stephen is portrayed as an intellectual. When the book shifts to his point of view, it becomes difficult to understand and becomes chockfull of references to writers and philosophers. He also exhibits serious guilt surrounding the death of his mother. Molly is Bloom’s wife. Though her point of view is highlighted in only one chapter, her passages are among the book’s most entertaining and interesting. Her lines are humorous, and she is a character that is full of life. Throughout the novel, it is apparent that she is unfaithful to Bloom. However, when we get to her chapter, we learn that a key motivation for this is the fact that she perceives that Bloom has neglected her. This was an extremely challenging work for me. Despite my best efforts, a fair bit of the book fell outside of my comprehension. I will need to reread this, perhaps several times, in order to remedy the holes in my understanding. 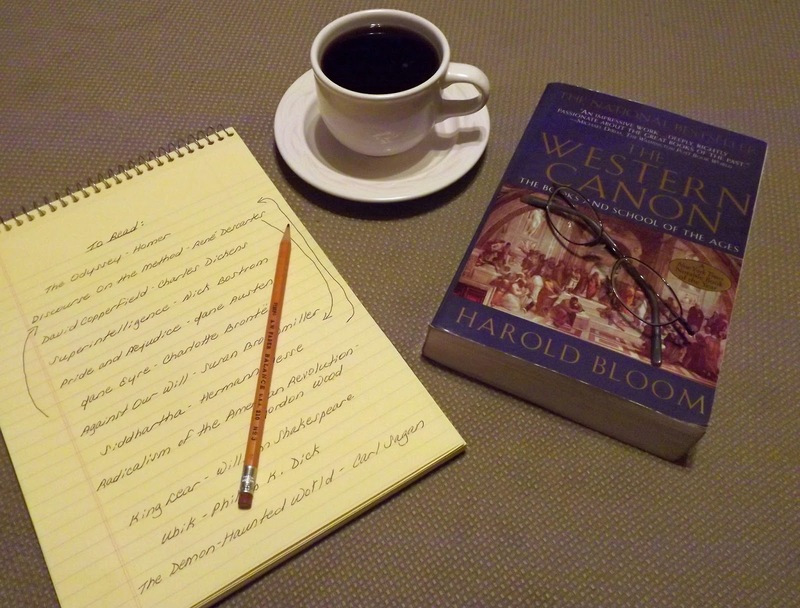 The effort needed to get through this work level begs the question: was it worth reading? My answer is a resounding yes. Though I am accustomed to a much higher level of reading comprehension than I managed here, the rewards were also plentiful. The multiple and strange writing styles, while often challenging, are very creative and aesthetically pleasing. The many obscure and odd references, at least those that I was able to decipher, were enlightening and fun. The book is brimming with ideas. Though I missed some of them, I also caught a lot of them. Bloom, Stephen and Molly are so very well sketched out that they are a joy to contemplate. In fact, the narrative style brought things out of these characters like no other book that I have ever read. This novel is an enormous artistic achievement. I have not even scratched the surface of what this book contains in this post. Joyce’s work is obviously not for everyone. In fact, had I tried this when younger, I would have failed to complete it. The book took patience and determination to get through. It helped considerably that I have been reading difficult texts for years. This previous reading experience helped me to “get into shape” for this endeavor. A fairly strong knowledge of both Shakespeare’s works and of the Odyssey was also invaluable. Ultimately, my verdict is that for a fearless and adventurous reader who is prepared, this book is not just worthwhile, it is essential. My commentary contains minor spoilers regarding the outcome of several relationships portrayed in this series. I have completed all six books of Anthony Trollope’s Chronicles of Barsetshire series. Almost every page of the approximately 3,456 pages of the series is worth the read. Before I read these books, I had not read anything by Trollope. Now he is one of my favorite authors. There are many themes and motifs developed during the course of the novels, including: the decay of the British class system, the virtues and strengths of quiet and non-aggressive people, the condition of women in society, religious hypocrisy and virtue, the mix of good and bad in everyone, and many others. Though there are still numerous highly praised Trollope novels that I have not read, I feel that at this point I can say a few general things about the author. Trollope’s talents are numerous. He is funny, he is accessible while at the same time deep, and he uses a form of meta-fiction that is unique, amusing and witty. He describes people and their interactions in a more realistic way than just about any other writer that I know. His allusions to mythology as well as to Biblical and classical literature are frequent, clever and aesthetically pleasing. I find Trollope to be a mostly optimistic writer. While that was true throughout the series, there seems to be a little darkening in his attitude and more realism exhibited as the series progressed. This is exemplified by the less than happy outcomes for a trio of characters, Lilly Dale, Johnny Eames, and Adolphus Crosby. See my commentary on their fates here. Trollope is often compared to Charles Dickens as his books are set in the same period and place and seem to cover similar situations and themes. Both writers spend lots of words exploring human relationships and psychology. Both also seem to exhibit a moderate and easy going Christian based philosophy in their writings. There are major and important differences, however. Where Dickens was larger than life, Trollope seems in many ways the opposite, as he successfully attempts to reflect life the way it is, with incredibly nuanced, complex and contradictory characters and situations. Most of Trollope’s virtuous characters have flaws. Even his most pernicious creations exhibit virtues. Furthermore, despite Trollope’s realism, he does not penetrate into the really dark corners of the human experience as Dickens does. In addition, where Dickens was concerned with the plight of the poor and oppressed, Trollope seems much less interested in those subjects. Viewed in its entirety, the series is impressive and unified in terms of plot, characters and themes. It is also aesthetically and emotionally satisfying. At the end of the last book, there are marriages, declarations that some couples will never marry, and deaths of some long standing regulars. Many book series offer a reader comfort; they provide familiar characters and places. I do think that some of this familiarity is often paid for with a degree of superficiality. The plots and characters are presented in too safe a manner. Trollope mostly avoids such superficiality in these books, his realism and complexity providing substance throughout. 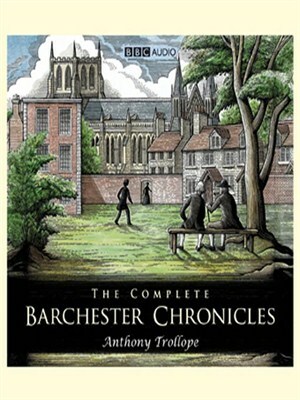 My favorite book of the series is Barchester Towers. Though the novels do not need to be read in order, I recommend doing so. There is a certain continuity of characters and events that, when read in order, give the plot and character development additional coherence. The last book in the series, appropriately titled, The Last Chronicle of Barset, really should only be read last, since it concerns the fates of multiple characters and because it picks up multiple plot threads. The first book in the series, The Warden, was very good, but I think that most of the other novels are better. Thus, if one does start at the beginning, one can look forward to the narrative improving. I leave off with the closing paragraph of the The Last Chronicle of Barset. It is a marvelously written example of the meta-fiction that I alluded to and a fitting end to this series that will forever be close to my heart. 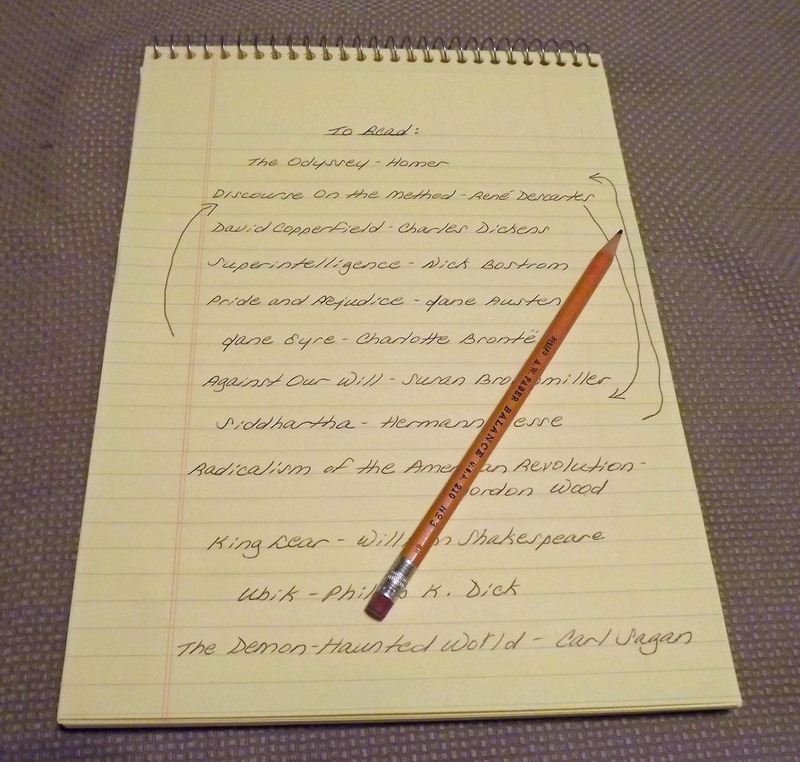 My commentary on the Sixth book in the Chronicles of Barsetshire series, The Last Chronicle of Barset is here. My commentary on the relationship of Lily Dale and Johnny Eames in the Chronicles of Barsetshire series is here.